Stanislav Vaklinov is returning in BC Beroe. The center signed a contract with the team and will try to help its fortunes in the upcoming season. Vaklinov is joining from Akademik Bultex 99 where he played the last two season. Before that the 29-year old was part of Beroe and in 2015/2016 played 51 games for the team. He averaged 7.7 points and 4.9 rebounds. 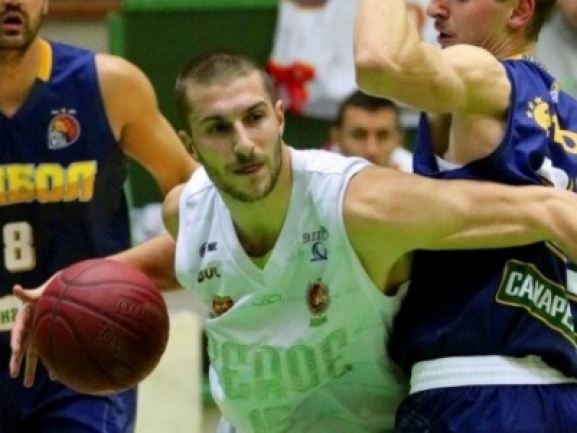 A few days ago Beroe announced that it has also retained the services of the captain Tihomir Zhelev. The Stara Zagora team will return to the Balkan League this season after one year absence.